Monica Maschak - mmaschak@shawmedia.com The 55th Regiment of foot lines up in preperation to march as part of a re-enactment during the Trial of History at Glacial Park on Saturday. 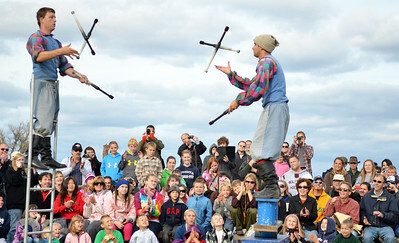 Monica Maschak - mmaschak@shawmedia.com Nick and Eric Budabi entertain a crowd with a juggling performance at the Trail of History at Glacial Park on Saturday. Monica Maschak - mmaschak@shawmedia.com Faith Bushey, 7, sorts beans at the Trail of History at Glacial Park on Saturday. Activities gave young attendees a taste of what chores were like in the early settler days. Monica Maschak - mmaschak@shawmedia.com Mark Wichman, a sabotier (French wooden- shoe maker) carves away at a piece of wood to demonstate how to make wooden shoes at the Trail of History at Glacial Park on Saturday. The re-enactment features more than 200 interpreters from across the country who demonstrate the crafts and trades from early settler days. 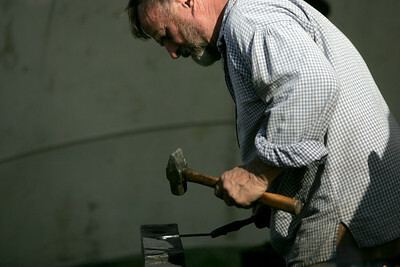 Monica Maschak - mmaschak@shawmedia.com A volunteer blacksmith beats on hot iron with a hammer. 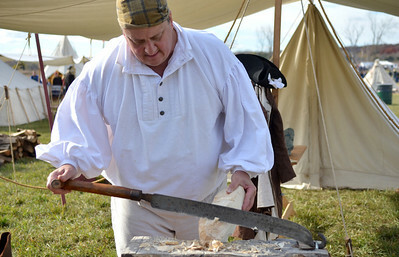 Attendees witnessed what life was like in the Northwest Territory from 1670 to 1850. Monica Maschak - mmaschak@shawmedia.com Mya Ruse, 10, and Abigail Olsson, 9, of Algonquin wash clothes at the Trail of History at Glacial Park on Saturday. Activities gave young attendees a taste of what chores were like in the early settler days. Monica Maschak - mmaschak@shawmedia.com Joyce Krauz, of the Celtic Education of Living Theater Society, holds up the carved tip of a feather at the Trail of History in Glacial Park on Saturday. 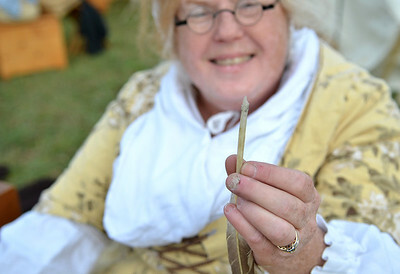 Krauz demonstrated how to make a feather into a pen. Attendees witnessed what life was like in the Northwest Territory from 1670 to 1850. 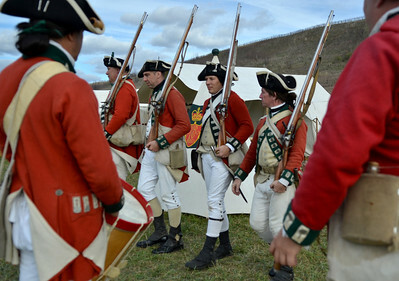 The re-enactment featured more than 200 interpreters from across the country who demonstrate the crafts and trades from early settler days. 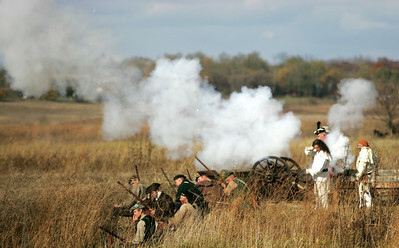 Monica Maschak - mmaschak@shawmedia.com Cannon and gunfire sounded during a military re-enactment at the Trail of History Saturday. 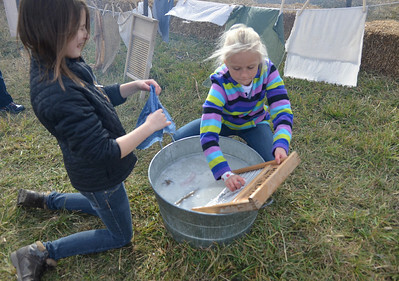 Mya Ruse, 10, and Abigail Olsson, 9, of Algonquin wash clothes at the Trail of History at Glacial Park on Saturday. 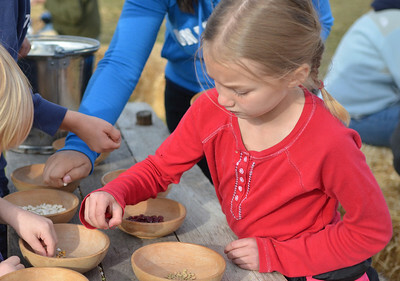 Activities gave young attendees a taste of what chores were like in the early settler days.